Do you know this situation? You’re on your way to a conference or an event and you don’t know anyone there, but you are aware that all those participants work in the same field – they are all quality people or better known as „quality doer“. 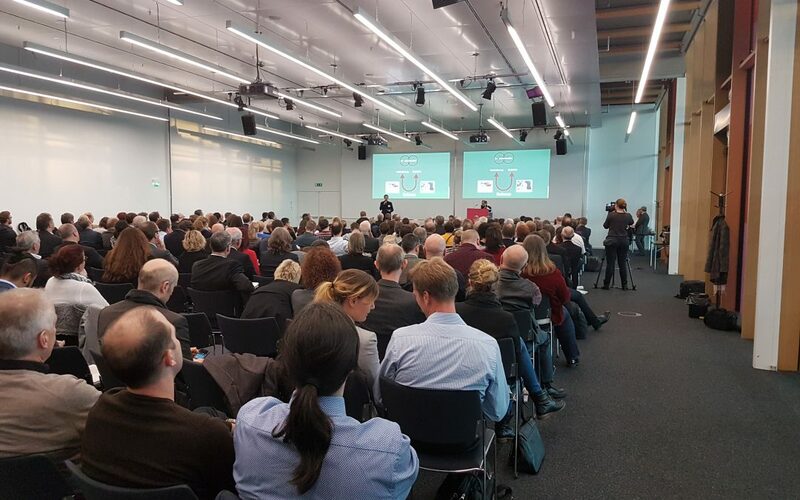 The multi-faceted audience participating at the Quality Day which is organized by the German Society of Quality (DGQ) is quite astonishing. Hosted by the southern agency in Stuttgart most of the participants used frankly the Get-Together on the eve for cheerful networking while being provided with rich food and a huge variety of beverages. The concept – why create a Quality Day? The Quality Day has been implemented as a discussion board for DGQ members and interested Quality Managers from all over the country to interactively and output-driven work together on current quality related issues. Questions like „What does Quality Awareness mean and what is its impact on companies?“, „How do I provide a sustained knowledge management?“ or „How do I convince my supervisor to have QM participating in in the process of organization development?“ are just a part of the diverse offer provided by the DGQ’s experts during this day. Under the motto „intense, interactive, creative“ all participants were able to develop theier experiences and visions together with the workshop hosts. Every workshop ended with a great bunch of fruitful results that were presented during a final open discussion round to enable the participants to look at all other results. This round offered even more time for further impulses. My experience as a newcomer – is it worthy to participate? This question has to be responded with a definite „Yes!“. Here, networking is very easy and you are provided with a lot of new impulses for your own work. Besides, you get in parts a very deep insight into QM divisions of other companys, which are mostly beyond our business, but are struggling with the same circumstances and obstacles during their everyday work. This much is certain: Next year I’ll be back – more experienced and hopefully with a lot of new ideas. And of course, I’ll stay focused on persisting curiosity towards the future topics. Until then, co-working in expert groups is a pleasant perspective to use the remaining time and develop quality management in all its facets.